Cash bail is used in Utah County more than any other counties in Utah for Bail. A few of the district court judges are giving the alleged criminals Cash Bail Only option. So; instead of using a Utah Bail Bond Company—they must pay the full bail with cash. As long as the accused appears to all court dates, the Bail will be returned. Unfortunately, if they fail to appear, the money will be forfeited to the courts. A warrant will be issued for their arrest; at the tax payers’ expense. Police officers will execute the warrant and bring the alleged criminal back to court. There are currently 4 states that have eliminated Bail Bond Companies from practicing in their state. These states us a Cash Bail system. States that have done away with Bail Bond companies and implemented a Cash Bail system have a higher failure to appear(FTA) rate. FTA rates are significantly higher than the other 46 states that use a Bail Bonds system. The Utah County District Courts’ position is that the Cash Bail practice is not prohibited. So; unless a higher court tells them to change it, they won’t. Based on Utah Admin Code 77-20-3 the courts are within there rights. As a result; Massey’s Bail Bonds has done research on these 4 states and have found that the FTA rates are higher vs a Bail Bond. Massey’s has also found that when people fail to appear, the cost to the counties to employ their local law enforcement to execute warrants & book the accused into their county jails is an unnecessary cost to tax payers. This cost is eliminated when using a Bail Bond system. In conclusion; most Bonding Companies employ their own Bail enforcement officers which are billed directly to the c0-signer on the Bond, not to the county. Furthermore; This directly reduces the cost for individual tax payers. 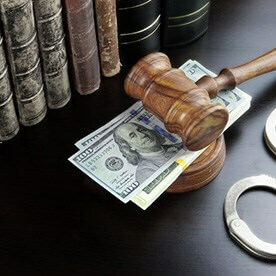 Lastly; when the accused is released on a cash bail, there is no supervision to guarantee their court appearance, A cash bail may be a deciding factor on their commitment to appear in court. In the private Bail Bond business, clients are supervised and if more than 2% FTA, the Bail Bond agencies cannot stay in business as they are governed to pay the courts the entire bail which, Massey’s would like to add, goes right back into the county’s budget. Again, this only benefits the tax payers.